Mister Moon is a groovy quartet mixing synth, percussion, and at times croon-y vocals resulting in a concoction that is simultaneously dreamy and whimsical. The presence of a second drum kit isn’t redundant. Rather, it allows the band a pathway to be more visually engaging live, as well as create mixes of sounds not possible with one drummer. “Cost Effective” is a stellar single, and this makes me wish they would have had a chance to support MUTEMATH on tour. Hopefully, Darren King or Sucre spot this talent someday. 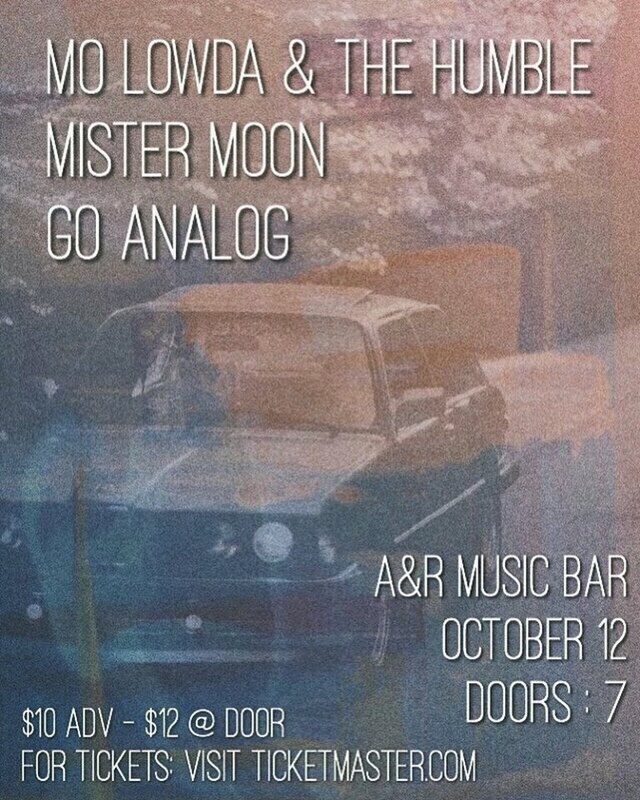 Mister Moon will serve as a fitting complement to the also grooving, whimsical Mo Lowda and the Humble. Doors open at 7PM. The show is all ages. Pick: 90’s Kids with Telehope, Golds and Something Else at Big Room Bar. The fresh-faced rising pop collective 90’s Kids make their headline debut at the famed Big Room Bar, with a side of alt-rock on an indie-pop heavy showcase. 7PM show. All ages! Get your groove on with a lineup that is essentially a who’s who of vibey Columbus rock music. Brujas Del Sol is releasing an LP soon, and Ghost Soul Trio may be one of the most underrated bands in Columbus. Music goes from 12 – 9PM.